The mayor of London, Boris Johnson, is set to renounce his American citizenship in a bid to become a candidate for UK prime minister. “The reason I’m thinking I probably will want to make a change is that my commitment is, and always has been, to Britain,” Johnson told the Sunday Times during a trip to the US. 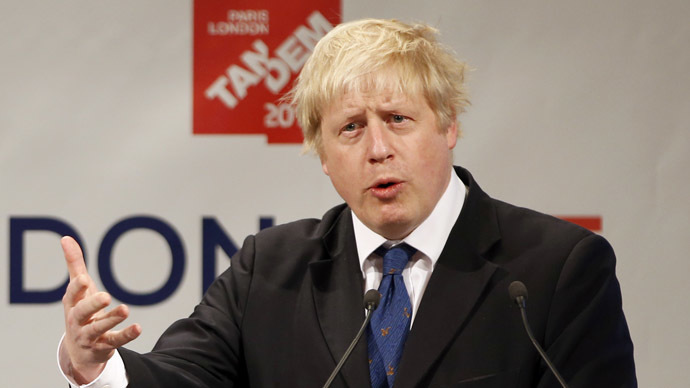 Boris Johnson has dual nationality because he was born in New York. “It’s an accident of birth that has left me with this thing. I’ve got to find a way of sorting it out,” he said. Johnson, who is running for parliament in Uxbridge and South Ruislip, said he would visit the US ambassador Matthew Barzun to inquire about the issue. “It is a laborious business. They don’t make it easy for you,” he said. Constitutional experts think that dual nationality wouldn’t become an obstacle to Johnson in potentially becoming UK premier. However, his loyalties might be questioned if he doesn’t hand in the US passport. One of the priorities in making this change may also be an attempt to avoid paying US taxes: even foreign-based US citizens must pay up. In January, Johnson settled a US tax bill, having described it as “absolutely outrageous”.